With so many different types of summer camps to choose from these days, from day camps to sports camps to standard camps, why should you choose a fishing camp? Not only will your child have fun and meet new friends who share an interest in fishing, but he will learn a life skill that will help him put food on the table should he need to do so at some point in his life. There are fishing camps all across the United States, so no matter where you live, you'll be able to find one that suits your needs. However, each camp has something a little different to offer, so after the first year or two you may want to consider going a bit outside your region to gain special expertise for your child. If you're looking for a complete solution that will teach your child all the basic skills of fishing, this may just be it. The camp is located in Putnam Station, New York. Sessions range from two-weeks to a full summer and range in price from about $4,500 to just under $12,000 for a full session. It's small, so campers will be in a tight-knit group of 38 campers and 11 staff members, and only 6 other campers in a cabin. It's affordable: the cost for the week is $485. There are also scholarship opportunities. In addition to fishing, campers learn about conservation. It's associated with 4-H, so it's possible the camper can continue with the organization if he finds he loves it. The camp is ideal for the child who wants a one week experience focused on fishing, but isn't ready (or doesn't want) to spend an entire summer fishing. Camp enrollment opens in mid-February. The camp is ideal for the Christian family who wants their son to learn and enjoy a new hobby. There are a variety of different camp options to choose from, including day camps, overnight camps, father/son 'man' camps, and parent/child fishing camps. Prices for day camp start at about $270 for day camp and go up to about $500 for an overnight camp. The average ration of adult to camper is 1:8 and never more than 1:10. Campers start each day at the museum, where they learn about topics such as "fishing techniques, conservation, marine biology, tying flies and jigs." 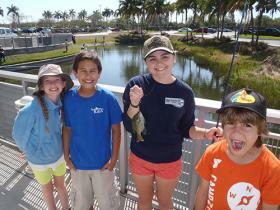 Campers get a chance to participate in simulated fishing tournaments. Activities include going out on a drift boat, pier and shore fishing, and even "encounters with alligators." This is a day camp and not an overnight camp, so if you do not live in the area, you will need to make hotel reservations and visit the area with your child or make other arrangements. They have regular and advanced camp options, with costs starting at $350 for the regular camp and $500 for advanced camp. They offer a $25 discount if registering for multiple weeks and a $25 sibling discount if two or more children in a family are registered. The day camps start at $715 for the week, and run a bit more for late registration (after April 1st) or advanced camps. After-camp care is available for an additional fee. 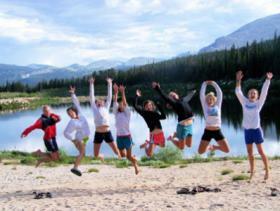 Overnight camps are approximately $1600. The camp is environmentally friendly and follows 'catch-and-release' protocol, allowing campers two trout per fishing outing. Any caught over that amount are released back. Kids will learn how to prepare the fish for cooking. Cheley is accredited through the American Camp Association (ACA), which means the staff and camp must meet high professional standards. The camp offers two sessions per summer. The cost of one session is $6,200 or the full season (both sessions) runs $12,250. Registration opens as early as September, and an $800 deposit is due at the time of registration. They also offer a family camp (for four people) at a rate of $2700 (additional family members can join for a rate of $500 for the week). 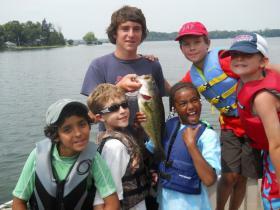 Campers learn to fish with professional fishing captains and will also get a chance to try kayak fishing. 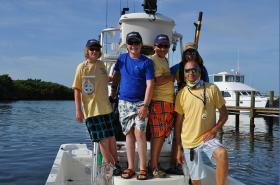 The cost of the fly fishing camp is $1,245, and the saltwater fishing camp is $1,295. If you have any lakes or fishing areas in your vicinity, chances are there is a local fishing club or group near you that you can contact. They may offer fishing camps or clinics themselves, or they may be able to refer you to an organization that does. Local fishermen and women will also likely know the best locations for fishing, and those cities may be better bets to find a camp. Another avenue for finding a camp more local to you is to check with 4-H groups or agricultural extensions in your area. They often have knowledge of things such as fishes resources or organizations they can direct you to. In some cases, they may even host or partner with a group that has a camp based around fishing. Your city's Parks and Recreation Department is yet another place to check into for camp information. They may have information on their website or be able to give you information on upcoming day camps over the phone. When you're in the market for camps, fishing is an option you may be able to filter or sort with when using an online camp finder. These databases may list camps from Florida to California, and everywhere in between. 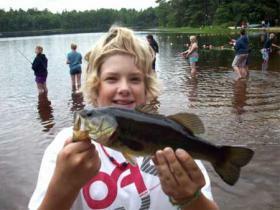 KidsCamps.com: This website allows has a dedicated fishing program and camp section under their Sports section. You can browse results or narrow by state. SummerCamps.com: This camp finder makes it easy to filter and sort. Just enter 'fishing' into the activity box and put in your zip code to find local programs. Teaching your child to fish is a skill that can help him throughout his life. 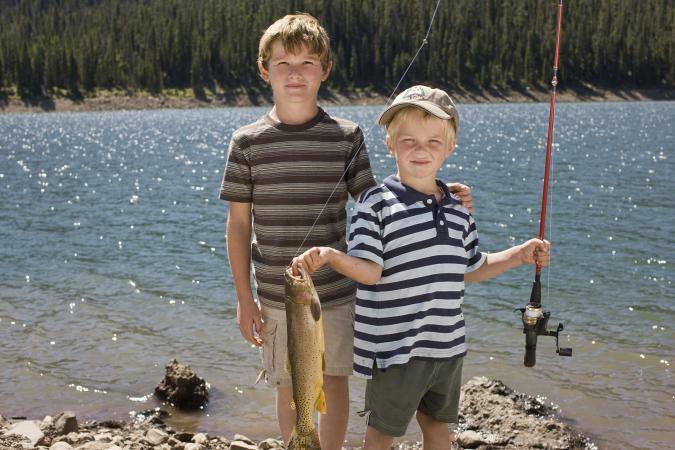 If you want your child to pickup new fishing skills but don't want to send your child away or spend so much on a camp this summer, look into local programs and clinics that might be offered by sporting goods stores to spend quality time together. For example, Bass Pro Shops offers Family Summer Camp and has casting challenges from May through July in different areas around the country. If all else fails, enlist the best angler you know to teach your child a few fishing techniques this summer.